Bottom Line: Vivid notes of crispy waffles make this a fun brunchtime shooter or cocktail modifier. 89 • Ballotin Chocolate Whiskey 30% (USA) $24.99. 92 • Ballotin Bourbon Ball Whiskey 30% (USA) $24.99. 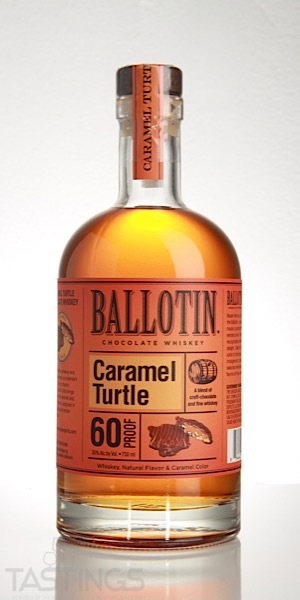 90 • Ballotin Caramel Turtle Whiskey 30% (USA) $24.99. 90 • Ballotin Chocolate Mint Whiskey 30% (USA) $24.99. Flavored whiskeys are distilled alcoholic beverages produced form grain (rye, corn, barley) that have had additional flavoring included. These flavors cover a wide array from honey to apple to cinnamon. 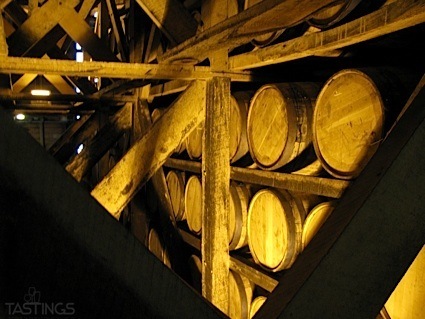 Most of these flavored whiskies are from North America, although there are a few from Europe. While these can be enjoyed over ice, most are used mixed with soda or tonic or else in a hot toddy. Ballotin Caramel Turtle Whiskey rating was calculated by tastings.com to be 90 points out of 100 on 12/14/2018. Please note that MSRP may have changed since the date of our review.